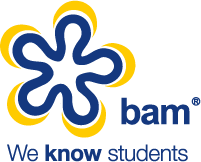 Commercial property giants, Land Securities, partnered BAM to deliver a platform for brands to connect with more than 70,000 students during a series of Student Nights, during Freshers’ season 2015. Formerly known as Student Lock-ins, the re-vamped Student Night shopping events took place at six of the most popular shopping centres in the UK, including: St David’s (Cardiff), Trinity Leeds (Leeds), The Galleria (Hatfield), Gunwharf Quays (Portsmouth), Bluewater (Kent) and Buchanan Galleries (Glasgow). The result? A format that was already successful performed even better. BAM’s support services helped to drive increased retail spend, data capture and footfall across the board. The team is currently working with Land Securities to continue the service into 2016.